A rich buffet will be waiting for you in the morning. 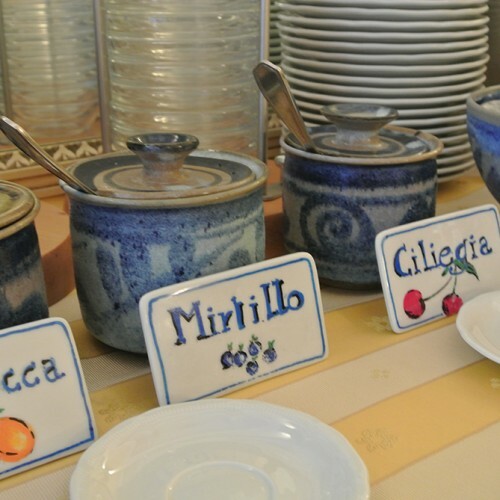 You will find: several tastes of yogurt, jams, several kinds of cereals, ham, salami, cheeses, eggs, fresh fruit, briosche, cakes, focaccia, white bread and cereal bread ready to be toasted, cookies, nutella, honey, orange and lemon juices, several kinds of tea and coffe, chocolate and fabulous cappucini. 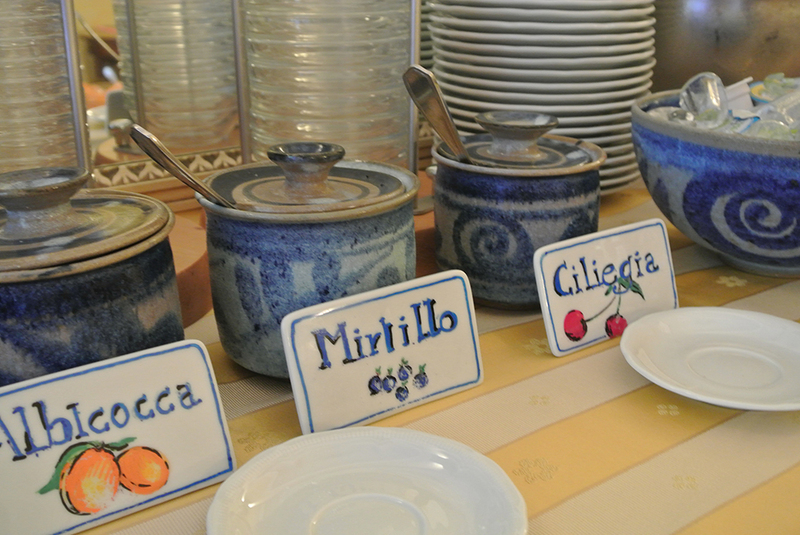 The inn Il Maestrale is a small refuge for those who like beautiful things and accurate, but informal atmosphere. Stefania and Giovanni are the owners and the managers of the XXVIII sec. building, which has been recently restored following modern stardards. The terrace of the inn overlooks the historycal centre main street and the inn is a short step from restaurants and shops. 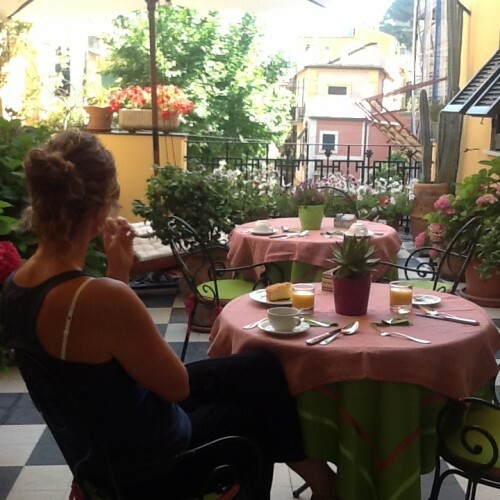 The beach and the ferry boats dock are just 2 minutes away as well as the path n.2 leading to Vernazza. 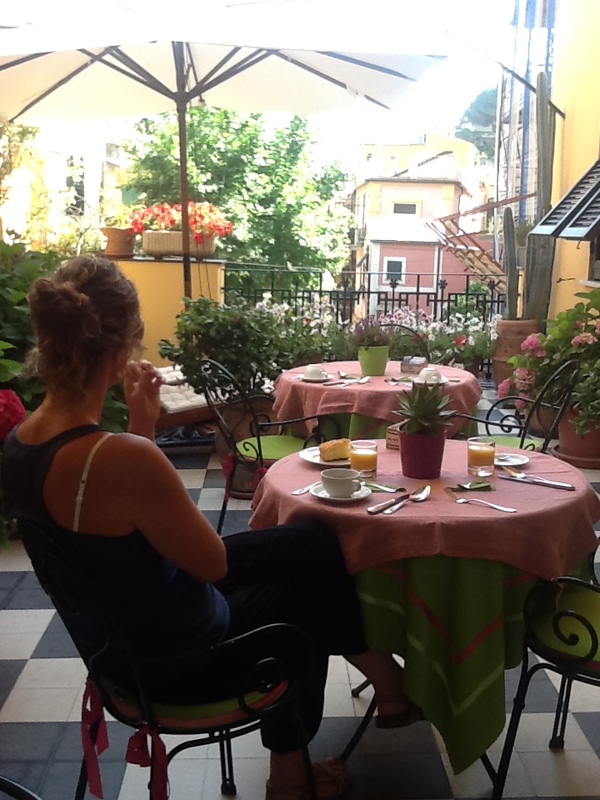 We will do our best to give you a special holiday at the Cinque Terre.